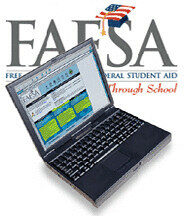 Filling out the fafsa is one of those nagging chores to which all parents of college students must subject themselves. Remembering PINs, finding financial statements, making reasonable estimates, clicking the wrong button and retracing your work-none of it is at the top of my list of fun activities. But in an attempt to redeem a January 'snow day,' I completed the form to ensure a loan for Markus education next year. I can't imagine filling the thing out with paper and pencil and no help windows. Well, five years are completed, and five years to go! Like many of you in Western Washington, we get a 'day off' today (only to be made up in June). We have had no snow in Southworth and the sun has been shining most of the day. It kind of takes that cozy 'snowed in' feeling away.